Browse a selection of exquisite eyelet curtain prints, patterns and textured plains. Eyelet curtains are a distinctive and contemporary style offered by Hillarys. 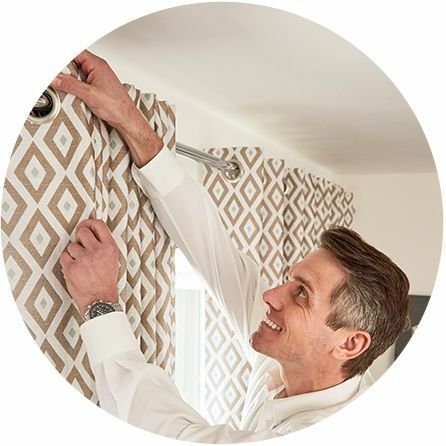 Eyelet curtains have large metal rings at the top of the fabric, which are then threaded onto a traditional curtain pole. This creates large, top-to-bottom pleats that look smart and contemporary. 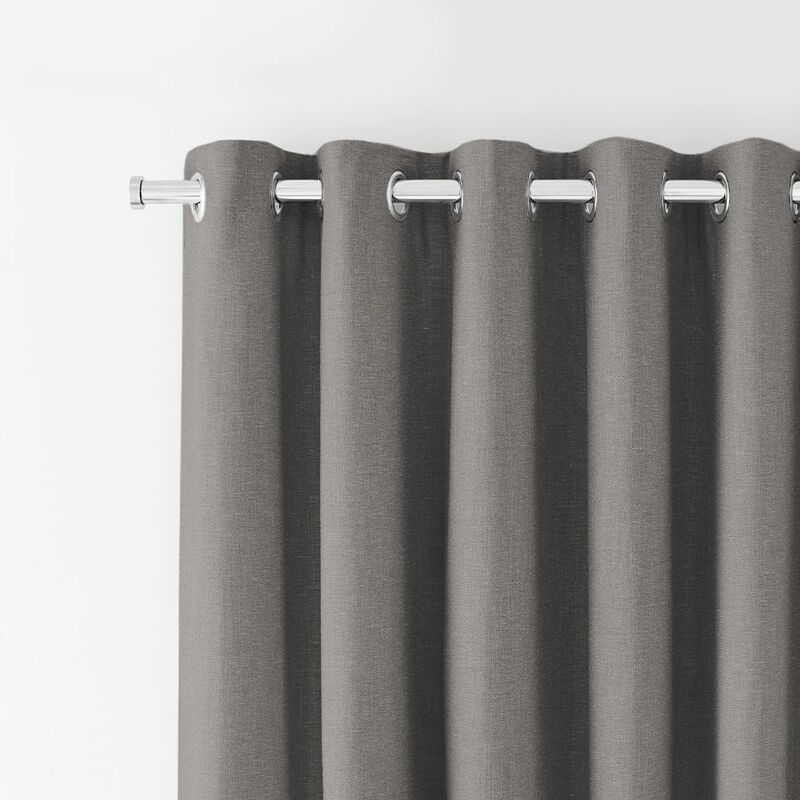 The simple and sleek design makes these curtains ideal for most spaces, including bedrooms and living rooms. However, as they are hung from a straight pole, they aren’t suitable for bay or curved windows. At Hillarys, we’ve got a huge range of fabrics to suit any style, from subtle prints to bold patterns and textured plains, so you’re sure to find your perfect look. Add performance finishes such as blackout or thermal linings, and choose from a variety of curtain poles and tiebacks for a truly personalised finish. When you choose Hillarys, our expert advisors will come to you for a truly stress-free experience. We’ll bring all of our samples directly to you so that you can browse our range and choose fabrics in the comfort of your own home. Not sure what you want? Our advisors have years’ of experience in transforming homes – we can talk you through what works best for your space and help you decide on colours and designs. We’ll also take care of measuring and fitting. All of our eyelet curtains are made-to-measure to your specific requirements, giving you a high-quality finish that you’ll love for years to come.